Few people receive the quality guidance that is required to raise a child. As a result, we invariably end up transferring our own subconscious deficiencies (inertia, addictions, indiscipline) onto our children. 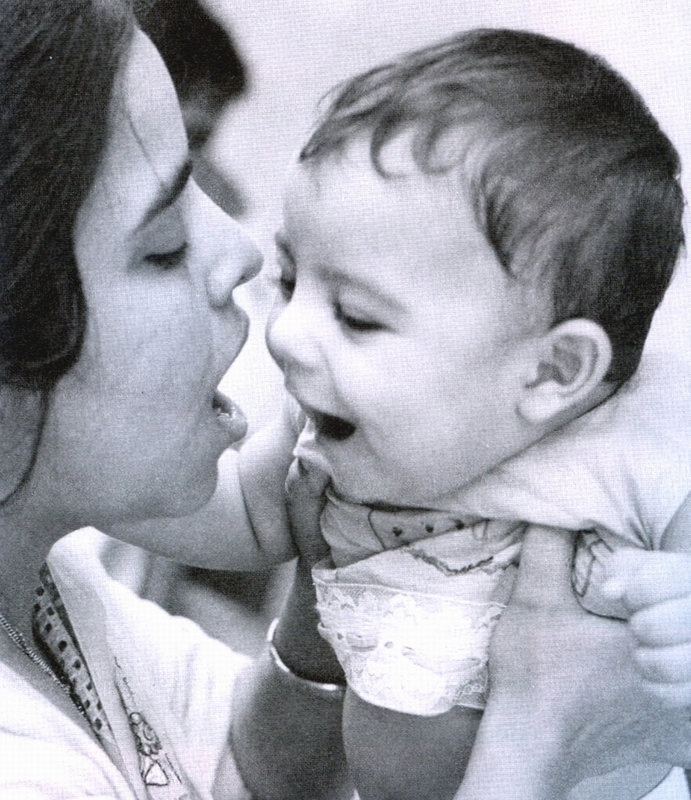 The Sri Aurobindo Society has published a booklet “How to bring up a child” on this crucially important topic, bringing together insights from Sri Aurobindo and the Mother Mirra Alfassa along with anecdotes and stories from other people and places. These are some snippets from that book. With very few exceptions, parents are not aware of the disastrous influence that their own defects, impulses, weaknesses and lack of self-control have on their children. If you wish to be respected by a child, have respect for yourself and be worthy of respect at every moment. Never be authoritarian, despotic, impatient or ill-tempered. When your child asks you a question, do not give him a stupid or silly answer under the pretext that he cannot understand you. You can always make yourself understood if you take enough trouble; and in spite of the popular saying that it is always good to tell the truth, I affirm that it is always good to tell the truth, but that the art consists in telling it in such a way as to make it accessible to the mind of the hearer. In early life, until he is twelve or fourteen, the child’s mind is you can train it to understand these things by using concrete images, symbols or parables. Up to quite an advanced age narrative, a story, a tale well told teach much more that any number of theoretical explanations. The worst of all (which men usually do) is to leave their children with servants. It is a crime. For these people have an altogether vulgar consciousness, altogether low, altogether obscure; and quite spontaneously, without wanting to do so, they let it enter the children. Naturally, there is also the age when children are put to school and there they begin to come in contact with a host of children who are not always very much to be recommended. It is very difficult to escape these relations. But all the same, if one has started life with a little consciousness and much goodwill, when one meets people who are not desirable company, one feels it. And if one is good-willed, immediately one tries not to see them or not to be with them. There are all kinds of different and even opposite theories. Some people say, “Children must be left to have their own experience because it is through experience that they learn things best.” Like that, as an idea, it is excellent; in practice it obviously requires some reservations, because if you let a child walk on the edge of a wall and he falls and breaks a leg or his head, the experience is a little hard; or if you let him play with a match-box and he burns out his eyes, you understand, it is paying very dearly for a little knowledge! I have discussed this with… I don’t remember now who it was… an educationist, a man concerned with education, who had come from England, and had his ideas about the necessity of an absolute liberty. I made this remark to him; then he said, “But for the love of liberty one can sacrifice the life of many people.” It is one opinion. At the same time, the opposite excess of being there all the time and preventing a child from making his experiment, by telling him, “Don’t do this, this will happen”, “Don’t do that, that will happen” – then finally he will be all shrunk up into himself, and will have neither courage nor boldness in life, and this too is very bad. In fact it comes to this: One must never make rules. Every minute one must endeavour to apply the highest truth one can perceive. It is much more difficult, but it’s the only solution. To hit the children – all blows are forbidden, even the slightest little slap or the so-called friendly punch. To give a blow to a child because he does not obey or does not understand or because he is disturbing the others indicates a lack of self-control, and it is harmful for both teacher and student. Disciplinary measures may be taken if necessary, but in complete calm and not because of a personal reaction. Mother: Oh, because they are full of desires. They were probably formed with vibrations of desires, and as they have no control over themselves it is expressed freely. Older people are also full of desires, but usually they have a kind of… how do we call it?… They are a little shy of showing their desires or they feel a bit ashamed or perhaps are afraid they will be laughed at; so they don’t show them. Well, they too are full of desires. Only children are more simple. When they want something they say so. They don’t tell themselves that perhaps it would be wiser not to show this, because they don’t yet have this kind of reasoning. But I think, generally speaking, with very few exceptions, that people live in perpetual desires. Only, they don’t express them, and sometimes they are ashamed also to acknowledge it to themselves. But it is there, this need of having something… you know, one sees something pretty, it is immediately translated into a desire for possession; and this is one of the things… it is absolutely childish. It is childish and indeed it is ridiculous, because at least ninety times out of a hundred, when the one who had a desire for something possesses it, he doesn’t even look at it any longer. It is very rarely that this thing continues to interest him once he has it, whatever the nature of the object. Question: Sweet Mother, how can we help a child to come out of this habit of always asking? Mother: There are many ways. But first of all you must know whether you will not just stop him from freely expressing what he thinks and feels. Because this is what people usually do. They scold, even sometimes punish him; and so the child forms the habit of concealing his desires. But he is not cured of them. And you see, if he is always told, “No, you won’t have that”, then., simply, this state of mind gets settled in him: “Ah, when you are small, people don’t give you anything! You must wait till you are big. When I am big I shall have all that I want.” That’s how it is. But this does not cure them. It is very difficult to bring up a child. There is a way which consists in giving him all he wants; and naturally, the next minute he will want something else, because that’s the law, the law of desire: never to be satisfied. And so, if he is intelligent, one can tell him, “But you see, you insisted so much on having this and now you no longer care for it. You want something else.” Yet if he was very clever he would answer, “Well, the best way of curing me is to give me what. “Some people cherish this idea all their life. When they are told that they should overcome their desires, they say, “The easiest way is to satisfy them.” This kind of logic seems impeccable. But the fact is that it is not the object desired that has to be changed, it is the impulse of desire, the movement of desire. And for this a great deal of knowledge is needed, and this is difficult for a very young child. It is difficult. Indeed, they don’t have the capacity for reasoning; one can’t explain things to them, because they don’t understand the reasons. So you see, when it is like that the parents usually tell the child, “Keep quiet, you area nuisance!” In this way they get out of the difficulty. But this is no solution. It is very difficult. It asks for a sustained effort and an unshakable patience. Some people are like that all their life; they are like babies throughout their existence and it is impossible to make them see reason. As soon as one tells them that they are not reasonable and that one can’t all the time be giving them things to satisfy their desires, they simply think, “These people are unpleasant. This person is not nice.” That’s all. In fact, perhaps one should begin by shifting the movement to things which it is better to have from the true point of view, and which it is more difficult to obtain. If one could turn this impulsion of desire towards a… For example, when a child is full of desires, if one could give him a desire of a higher kind – instead of its being a desire for purely material objects, you understand, an altogether transitory satisfaction – if one could awaken in him the desire to know, the desire to learn, the desire to become a remark- able person… in this way, begin with that. As these things are difficult to do, so, gradually, he will develop his will for these things. Or even, from the material point of view, the desire to do something difficult, as for example, construct a toy which it is difficult to make – or give him a game of patience which requires a great deal of perseverance. I was helping to look after one of the first boardings which was started by the Mother. One day, during dinner, one of the boys proclaimed very proudly that his father always travelled in style, only ‘first class.’ I told the Mother about this the following day. The Mother asked me what had been my response.I replied that I had simply ignored it. But she said that I ought not to have done that and added that, when the opportunity arose, I should call the children together and explain to them that worldly wealth is of no importance; only the wealth that has been offered to the Divine has a value. You do not become big by living in big houses, travelling by first class and spending money lavishly. You increase in stature only by being truthful, sincere, obedient, grateful and by serving the Divine. You can also order a copy of the book from SABDA and its distributors worldwide. In the USA, the book can be ordered from Auromere, Matagiri, or Lotus Press. There are other books available on the topic of children’s education. Click on the image of these books seen below to go the SABDA catalog entry. This entry was posted in children and tagged Education, Family, Mirra Alfassa, parenting, raising-children, Sri Aurobindo, The Mother on August 5, 2011 by Sandeep. And if I may elaborate, the reason that this is so is that 9 out of 10 times the adult objects desired is object transference of an inner unfulfilled need, which no one single object or person or accumulation thereof can fulfill. What is typically desired but out of grasp (and thus becomes an all-consuming desire) is a connection with relationship and freedom to openly express without the fear of guilt, fear, shame reprisal or retribution. It is precisely because many have not explored how they have been wounded as children that they bury this same repression and transfer (object-transference) for endless material consumption both as adults (within and between themselves, objectified consumers acting as objects-seeking-objects, which merely become empty signifers or symbols) and likewise inculcating with exactitude the same degree of repression on their children. Thus the ability to slow down, freely (securely) reflect and “meaningfully engage” both compassionately and empathically with one another becomes, if you will, the “object-less object” beyond grasp but really the hidden desired fulfillment overgrown by walls of shame, guilt and repression. The truth is simultaneously while raise our kid we as adult need to enroll ourself to learn along with our kid and not advise but be in the same class room as our kid and may be having more to learn than those newborns and listening to their reaction to our improvement we can correct ourself and learn all that Mother has told below,once we take care of our learning kids will automatically learn watching us doing it and also kid sense things and they learn when parents have learnt that lesson its like subconsciously we pass it to them the good or bad. I just discover your blog. I love Sri Aurobindo. I had been “educated” by my own children as well as working with children. Children are mirrors and Maria Montessori said it quite well. She has a very specific spiritual view of them, which is close to what I read above. Each spiritual seeker living or working with children, may find treasures in Maria Montessori’s work. Thanks for the comment. These days, the Finnish educational system is the object of unremitting praise. The first principle of true teaching is that nothing can be taught. The teacher is not an instructor or task-master, he is a helper and a guide. His business is to suggest and not to impose. He does not actually train the pupil’s mind, he only shows him how to perfect his instruments of knowledge…he shows him how to acquire knowledge for himself. He does not call forth the knowledge that is within; he only shows him where it lies and how it can be habituated to rise to the surface. The distinction that reserves this principle for the teaching of adolescent and adult minds and denies its application to the child, is a conservative and unintelligent doctrine. Child or man, boy or girl, there is only one sound principle of good teaching. Difference of age only serves to diminish or increase the amount of help and guidance necessary; it does not change its nature. The second principle is that the mind has to be consulted in its own growth. The idea of hammering the child into the shape desired by the parent or teacher is a barbarous and ignorant superstition. It is he himself who must be induced to expand in accordance with his own nature. There can be no greater error than for the parent to arrange beforehand that his son shall develop particular qualities, capacities, ideas, virtues, or be prepared for a prearranged career. To force the nature to abandon its own dharma is to do it permanent harm, mutilate its growth and deface its perfection. It is a selfish tyranny over a human soul and a wound to the nation, which loses the benefit of the best that a man could have given it and is forced to accept instead something imperfect and artificial, second-rate, perfunctory and common. Everyone has in him something divine, something his own, a chance of perfection and strength in however small a sphere which God offers him to take or refuse. The task is to find it, develop it and use it. The chief aim of education should be to help the growing soul to draw out that in itself which is best and make it perfect for a noble use. The third principle of education is to work from the near to the far, from that which is to that which shall be. The basis of man’s nature is almost always in addition to his soul’s past, his heredity, his surroundings, his nationality, his country, the soil from which he draws sustenance, the air which he breathes, the sights, sounds, habits to which he is accustomed. They mould him not the less powerfully because insensibly, and from that then we must begin. We must not take up the nature by the roots of the earth in which it must grow or surround the mind with images and ideas of a life which is alien to that in which it must physically move. If anything has to be brought in from outside, it must be offered, not forced on the mind. A free and natural growth is the condition of genuine development. There are souls which naturally revolt from their surroundings and seem to belong to another age and clime. Let them be free to follow their bent; but the majority languish, become empty, become artificial, if artificially moulded into an alien form. It is God’s arrangement that they should belong to a particular nation, age, society, that they should be children of the past, possessors of the present, creators of the future. The past is our foundation, the present our material, the future our aim and summit. Each must have its due and natural place in a national system of education. The articles in this book are drawn from a variety of sources and aim at preparing the younger generation for a deeper, more enlightened view of marriage, conception, pregnancy, and childbirth. Extracts from the Mother’s writings concern the deeper purpose of marriage and the need for a conscious aspiration throughout the processes of conception and gestation. Other articles offer advice for a healthy pregnancy and some basic guidelines for pre-natal education. The site keeps being reorganized. I fixed the links and they should work now. Unfortunately, there is no compilation on how to deal with a teenager, which is something you would need if you actually have a child 🙂 So enjoy life while you can! Once I requested a sixteen year old to apologize for hurtful remarks he made towards his math teacher. He looked me square in the eyes and said “no.” When I asked why, given that we had both agreed his words were inappropriate and hurtful, his response was that he really didn’t feel sorry for his actions, and so therefore his apology would be (in his words,) “fake”. His mother quickly interjected, agreeing with him. She informed me that she did not see why her son was being asked to make an apology when he didn’t feel sorry for his actions. In a 2006 research study conducted on the human brain with a focus on congruency between language and actions, Aziz-Zadeh and her fellow researchers, discovered through the use of functional magnetic resonance imaging, that there was a clear congruence in the premotor cortex of the left hemisphere between visually presented actions and actions described by language. It means that in the event an unapologetic adolescent is made to apologize for unfavorable actions towards others, it brings him a step closer towards his feelings matching with his actions. For parents who insist on taking the laissez faire approach, they run the risk of their teen never coming to terms that their actions were indeed wrong, even worse such parents may be unintentionally raising a sociopath. People who commit hurtful actions towards others, with an intellectual understanding of how badly the lives of the people on the receiving end will be affected, but they simply feel no sorrow for their actions. Unfortunately, psychopaths [some experts believe that sociopath and psychopath are the same just different labels] appear to be born not made, although some ppl like those in gangs or mobs etc will take up a psychopathic attitude by imitating the leader of the pack – who is usually a psychopath. Dr hare in canada was wrote the original book on psychopaths and developed a test scenario for rating psychopaths [which is used in the criminal justice system ATM]. He claims there are around 300,000 psychopaths in canada alone. These ppl aren’t what most ppl imagine a psychopath to be. They aren’t the axe-wielding psycho’s of hollywood. A lot are in powerful positions in finance, politics, religion etc…. Apparently, they can detect these ppl with a cat scan. Also, it seems that the frontal lobe is damaged or deformed in them. lt really amazed me how many there are on the planet. These are cold-blooded people with no conscience and no emotions, who will manipulate anyone and ruin lives in the process. Without getting too far from the main thread, it’s possible the teenager cited above didn’t feel any remorse because he’s one of these ppl. Of course, in ordinary ppl some kind of moral direction will be heeded because they have a conscience. For some reason, information about this psychopath/sociopath business has been coming to me a lot lately. Something the Mother once said comes to mind as well. She said in the agenda that there were a lot of ppl who didn’t appear to have a soul. l wasn’t sure what exactly She was referring to at the time, but it occurred to me that it could be these ‘psychopaths’ that She was talking about. One man was discussing this issue on tv recently [he’s just written a book] and he says you can discover a psychopath in your midst by looking for certain traits. lt seems they must have 5 particular traits to qualify. The main point is that society is overrun with these ppl. The film ‘The Talented Mr Ripley’ depicts a classic psychopath. Mike: Apparently, they can detect these ppl with a cat scan. Also, it seems that the frontal lobe is damaged or deformed in them. lt really amazed me how many there are on the planet. These are cold-blooded people with no conscience and no emotions, who will manipulate anyone and ruin lives in the process. This is very true. l know from personal experience that when l see something l like [gadgets mainly] l have to buy it. When l get it, l lose all interest in it lol. Desire is complete slavery. It has been said that the tiger’s need for devouring is one of the first expressions of love in the world. I think that long before the tiger, there must have been primitive creatures in the depths of the sea, which had only this one function: a stomach. They existed only as stomachs. And so they swallowed – that was their one occupation. Evidently that was one of the first results of the Power of Love infiltrating into Matter, for before this there was nothing: there was perfect inconscience, complete immobility, nothing stirred. With Love movement began: the awakening of consciousness and the movement of transformations. Well, the first forms, it may be said, were the first expression of Love in Matter. So we can go from the need of swallowing which is the only consciousness – a need of swallowing, of uniting – right up to… Excuse me, we say that Love is the power of the world – it is a primitive way of uniting with things, but it is a very direct way: one swallows and absorbs the thing; well, the tiger indeed takes a great joy in it. So there is a joy already, it is already quite a high form of love. l remember Rudolf Steiner saying what joy cows had when they were eating. lt’s while since l read this, but lt seems they have visions when they’re eating, according to him. Not everyone who’s preoccupied with his or her own needs fits the stereotype of an authoritarian, punitive parent who cracks down on any sign of disobedience. In fact, some people who are appalled by harsh traditionalism take pride in their extreme attentiveness to their children. Their assumption is that the more you do for your kids, the better your parenting. But this isn’t necessarily true. Some parents who conspicuously sacrifice everything for their children, whose very lives seem to revolve around them, actually turn out to be rather narcissistic. The family appears to be child-centered to a fault, yet the child is really being used to meet the parent’s own needs. That’s part 1 of the three-part formulation I mentioned earlier: taking care not to confuse a child’s identity with our own. Part 2 is to figure out who the child is, what she’s feeling, how her mind works, why she acts as she does. That invites us to engage in what psychologists call “perspective taking”: getting outside of ourselves in order to imagine how things appear to someone else. The question isn’t just “How would I feel if someone did that to me?” It’s “How does he feel about someone’s having done that to him?” It’s not just about asking what it’s like to be in his shoes, but what it’s like to have his feet. A group of Dutch researchers found that one of the most important factors in predicting parenting quality was the level of understanding of children’s unique interests and needs, along with a willingness to consider that perspective as distinct from the parent’s own. Canadian researchers discovered that parents who were better able to “accurately perceive their [teenage] children’s thoughts and feelings during a disagreement” ended up having fewer conflicts — or at least a more satisfactory resolution of the conflicts that did occur. And a U.S. study of families with toddlers showed that parents who were “able to adopt the child’s viewpoint” were more responsive to his or her needs as a result. Part 3 in my little model consists of acting on what we understand about a child’s inner life, which, in turn, entails a commitment to be less egocentric. That doesn’t mean giving a child everything he asks for, or engaging in endless self-sacrifice (which, paradoxically, may mean the parent is using exaggerated devotion to the child as a way of proving something about herself), but simply being a caring and attentive parent. As yet another study discovered, parents who tend to think mostly about their own needs and goals tend to be less accepting of their children than those who are concerned with the needs of their kids or of the family as a whole. Can spending too much time playing video games hurt my child? I think this also applies for the object of desire who is a human.Once the desires man/woman comes under the possession with love/marriage relationships, soon the interest is lost. I think this is what corresponds to the vital love which fades away quickly.